Focused on delivering customized accounting services. Steve is a native of Havelock, North Carolina and attended East Carolina University then transferred to Hastings College in Hastings, Nebraska where he graduated in 1983 with a Bachelor of Arts in Business Administration. He successfully completed the Certificate of Educational Achievement in Governmental Accounting and Auditing Program in 1992. 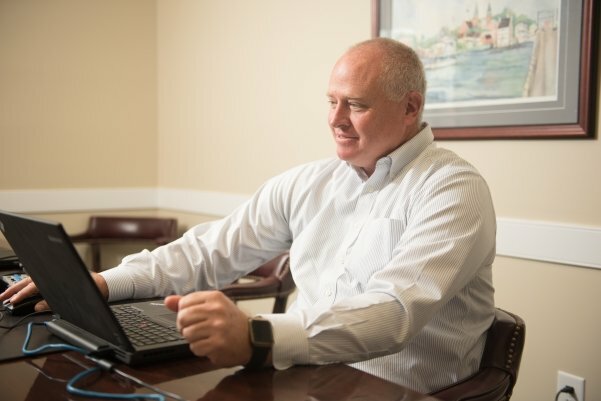 He joined the firm as a staff accountant in 1986 and earned his CPA license in 1987 and is now the partner responsible for the Jacksonville Office and a member of both the AICPA and the NCACPA. His primary focus is to assist businesses with their customized accounting, auditing, tax and management advisory services. As a volunteer, Steve has served on the board of directors for the Onslow Memorial Hospital Authority since September of 2013, currently holding the office of Treasurer and Chair of the OMHA Finance Committee. In June of 1995, he was named Rotarian of the Year at the Jacksonville Breakfast Rotary Club. Steve is married and has two children.